Drake has a production capacity of 75 million pounds from eight staple fiber lines. We produce round cross-section staple fiber products in a range from 3-denier up to 110-denier, with cut lengths of 25mm to 150mm. We also produce a small range of delta cross-section products, ranging from 8-denier to 15-denier. 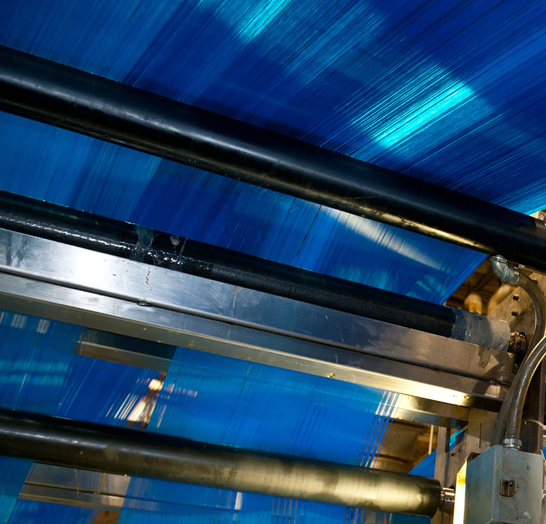 We are able to offer a range of UV and additive solutions—depending on the customer′s requirements. In addition to staple products, Drake has over 30 filament lines capable of producing 16 million pounds of polypropylene yarn from 150-denier to 1680-denier. Our flexible manufacturing allows us to provide a range of high-UV, flame retardant, and other specialty products.